The People’s Liberation Army (PLA) has introduced the Changhe Aircraft Industries Z-8G transport helicopter to active service. 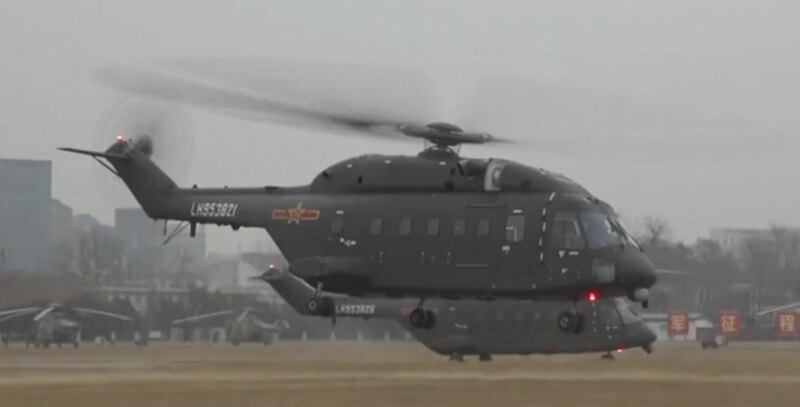 Previously known as the Z-18, it was reportedly redesignated the Z-8G (Gaoyuan, or "Plateau") because it is a heavily modified version of the Harbin Z-8, the Chinese derivative of the Aérospatiale SA 321 Super Frelon. The Z-18 flew for the first time in 2014. Powered by three domestic WZ-6C turboshafts, it has a maximum takeoff weight of 13.8 tonnes (30,360 pounds). It can carry 30 troops, or five tonnes (11,000 pounds) of cargo, for up to 1,000 km (600 miles). The new design replaced the Super Frelon/Z-8’s distinctive boat hull lower fuselage with a tail ramp and added a small terrain-following radar in the radome. Some Z-8Gs are fitted with a satcom fairing on the tailboom, aft of the engine exhausts. “We have completed flight training, and the next step is to focus on the integration with land forces,” said 83rd Army Air Assault Brigade commander Song Zhipeng. The PLA has been seeking helicopters that perform in the high-altitude regions of western China, and the Z-18 performed flight tests reaching as high as 9,000 meters (29,500 feet). The area is prone to large-scale natural disasters, and these helicopters will also be useful in humanitarian operations.